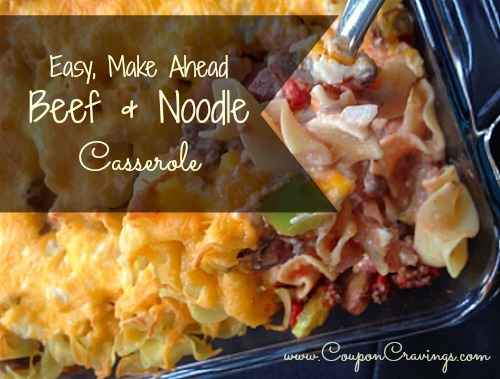 Looking for a casserole that you can throw together at night and pop in the oven after work the following day? Here’s a great one! 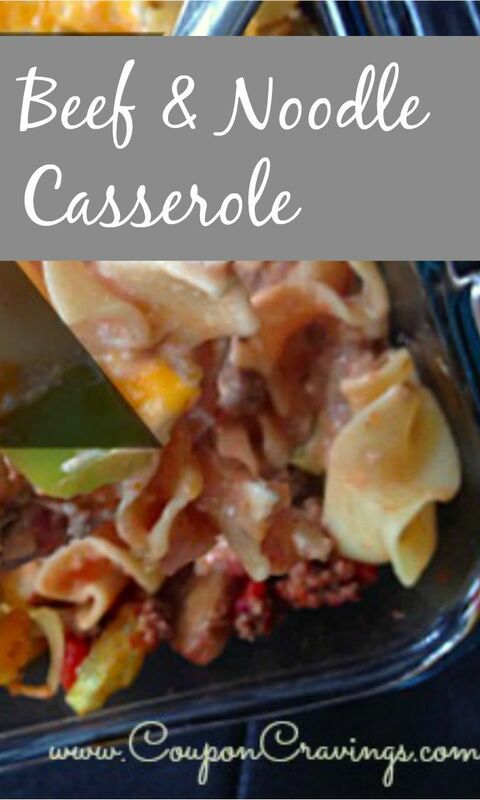 You see, this casserole is hearty, filling and oh, so yummy. 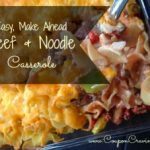 And, it seems a little more glamorous than just plain beef and noodles, as there are some fresh veggies and a couple more surprises included, too. Boil your egg noodles until just about done (they'll finish their last minute or so while in the oven). Simmer for ten minutes all of the following: browned ground beef, diced tomatoes, tomato sauce, green pepper, mushrooms, garlic, salt, beef broth and sugar. In a separate bowl combine cream cheese, sour cream, 1 cup of cheddar cheese and onion. In an ungreased 9x13 baking dish layer half of the meat mixture, then half of the noodles, and finally half of the cheese mixture. Repeat those layers and top casserole with the remainder of cheddar cheese. Bake uncovered at 350° for 40 minutes.